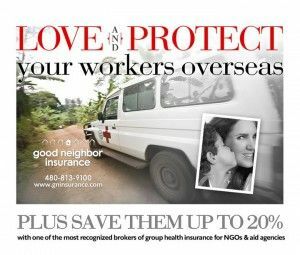 Good Neighbor Insurance provides BUPA insurance to our worldwide clients. You may view all the BUPA plans we provide to our clients at http://www.onlineglobalhealthinsurance.com/ . The BUPA Diamond and the BUPA Complete are long term career plans for those living and residing outside their country of citizenship. BUPA also have a great sports coverage plan and you may view this plan on our web page at http://onlineglobalhealthinsurance.com/short-term/sports-coverage.asp . All hospitals do not rely on the same degree of excellence that BUPA demands. To ensure you have access to the very best hospitals in the United States, please make reference to the Best Hospitals rankings published by U.S. News magazine on July 14, 2010. This accredited magazine publishes this information yearly to “help guide patients who need high-stakes care because of the complexity or difficulty of their condition or procedure”. BUPA has cross-referenced these hospitals with those included in our network of preferred medical providers by product. This comparison chart offers an overview of the top medical institutions in the country and the available access by Bupa network. Bupa only partners with the very best hospitals worldwide. Our priority is to provide you with the quality and expert medical attention you expect from a healthcare leader. Doug Gulleson loves to scuba dive overseas and makes sure he has his US health care and overseas health care, www.gninsurance.com , information with him at all times when he travels Keep our blog close by you, www.gntravelinsurance.com, for continual updates on the changes with the US health care system.